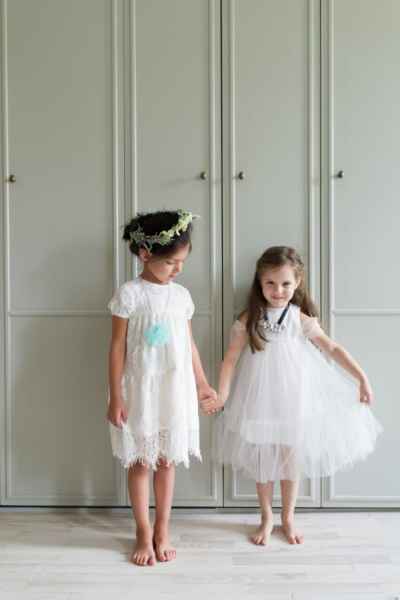 This ivory and white dress for girls makes an elegant Easter dress. 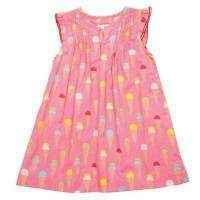 This pretty dress is also ideal for parties, weddings, flower girls, and when playing dress up. This girls dress features white tulle overlayed on an elegant ivory dress, tulle shoulders, and a button closure at the back neck. This special occasion girls dress comes with a separate beautiful jeweled necklace with black ribbon that ties around the back of her neck. She can wear the necklace, which contains pink and white jewels, rhinestones, and pearl beads, with any outfit. The jewel necklace comes in a pretty drawstring bag. She can wear this elegant tulle dress often because this easy care dress can go in the washing machine. 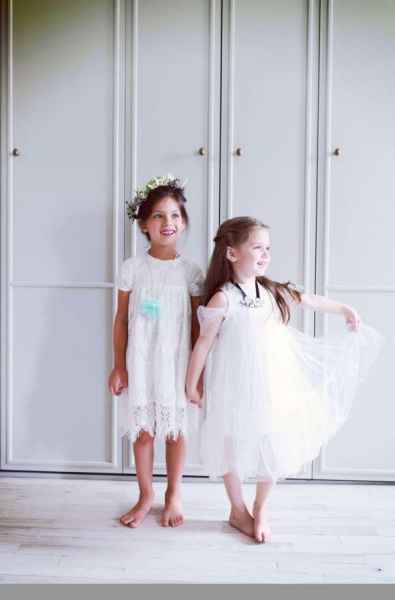 This gorgeous ivory and white dress for girls will make her stand out in the crowd. The short-sleeved dress on the taller girl in the photos is available in the "You might also like" section.